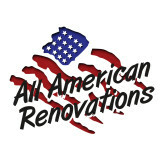 All American Exteriors is a family owned business specializing in exterior remodeling. For over 10 years, All American Exteriors has been building high quality structures. Founded in 2001, a family owned and operated business, merged a wealth of experience and skill into a company that would earn a remarkable reputation as a leading contracting company. Pete Williams and his brother Thomas combined their strengths to create an unbeatable force in construction. They promised at the time that they would always operate with a quality foundation of unwavering ethics and quality workmanship. James Hardie Preferred Installers Atlanta's Leading James Hardie Siding Design Team. We carry several premium lines of replacement windows to compliment your home renovation. Do you want more than the usual roofing company. Our 16 year veteran roofing field manager will make sure that your new roof will be beautiful and water tight Our Team understands flashing details to meet the manufacturers best practices guide lines. 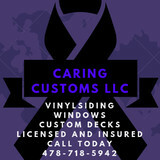 Caring customs specializes in vinyl siding installs/replacement, window installs/replacement, and decks. We service Atlanta and middle Georgia. We guarantee our work with a warranty on all installations backed with product warranties. Our installations are top notch and utilize energy star approved products that may lower your energy bills. Quality work for less than the “big brands”. Call today for a free consultation and financing information. Over 30 Years Experience in Roofing & Construction If your home needs a new roof, Micron Construction Services can help you choose the right roofing product for your needs. Replacing a damaged roof is a very important project as the roof on your home or business protects your most treasured and often times most valuable investment. At Micron Construction Services, not only will we replace your roof with one that will last for many years, but we will replace it with one that will enhance the appearance of your structure. We offer a full line of roofing products from leading manufacturer to complement all styles of homes or buildings. Our roofing professionals will meet any insurance adjustor onsite in order to assist with the claims process and work with virtually all insurance companies. In all cases our prices will reflect the insurance amount, which allows you to avoid having to pay out-of-pocket expenses, other than the deductible. We eliminate the stress, hassle, risk and uncertainty that is normally associated with this type of claim. REMEMBER, the adjuster from your insurance company is there to protect THEIR money, not yours, therefore it is highly advised that you have one of our roofing professionals there during the claims process to see to it that the needs of your roofing system are not overlooked. 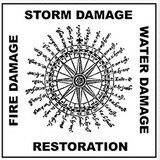 We offer roofing tear-offs, re-roofing and hail and wind damage repair. Micron Construction Services has and always will be an exceptional, value driven construction firm that is committed to excellence. Our goal is to deliver unparalleled construction services to our valued clients on time every time while striving for 100% customer satisfaction. At Micron, our customers come first and foremost. Our business model is to provide professional performance, fairness and honesty. We focus on our customers' needs and look forward to working with you. We would like to personally thank you for giving Trim-co Exteriors the opportunity to introduce ourselves and potentially help with your home improvement project. Since 1985 we have strived to use quality products along with quality service to give added value to your greatest asset, your home. We are proud to offer the best exterior products in the market today. Our commitment to using the best products along with our quality installers and our combined years of proven experiences gives you the confidence you need to make Trim-Co your choice to improve your home. These products not only provide energy conservation, which saves you money, but also are maintenance-free. That allows you to spend more time with the important things in life, your family. We look forward to the opportunity to serve you in the near future. EIOS (Exterior Insulation Over Specified) is the first Company that launch the Concept of Avoiding Condensation and the Non-Permissive (vapor-impermeable) Insulations. EIOS solves the eternal problem of moisture, mold and degradation in building enclosures. 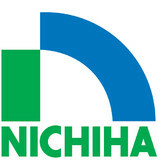 Along with this, thermal efficiency of insulation increases few times versus vapor-permeable insulations by eliminating phenomenon such in-cavity convection, through-insulation convection, air-flow, infiltration, insulation-compaction, reduced insulation-value by increasing humidity, intruding water, thermal bridges, etc. EIOS lowers the price of construction being a one-solution for thermal insulation, water/air/vapor-barrier, finishing system and environmental-separator (frame doesn’t have to be air-tight, moisture-resistant, waterproof, thick to accommodate insulation). Atlanta Windows and Siding offers our customers 30 years of installation experience of maintenance-free exterior products. We understand that you, our valued customers, have many exterior remodeling companies to choose from, and we consider it a privilege when you choose Atlanta Windows and Siding to assist you in improving your home. Stucco Atlanta LLC has been exiding expectations in customer service and quality for over 27 years. Our business is our livelihood but it is also so much more. Bbav Construction LLC was started to fill in a void in the current market and to make a business that people can place their trust in. Over the years we have never lost our commitment to our clients and that is what has allowed us to succeed in a very competitive industry. The employees of Bbav Construction LLC stand committed to our purpose and will provide the best service! Andrews Euro Stucco & Trim Co. Inc.
A & A Vinyl Siding, Inc.
What types of siding services do Eatonton exterior contractors provide? Wood siding needs more maintenance than less-expensive, low-maintenance vinyl siding, but with proper care it will outlast vinyl siding, which can fade and crack over time. Your Eatonton, GA contractor might also suggest fiber cement siding, which is fire resistant and termite-proof and can come with a warranty of up to 50 years. Find siding and exterior contractors in Eatonton, GA on Houzz. 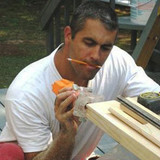 Narrow your search in the Professionals section to Eatonton, GA siding and exterior contractors. Find out how long an Eatonton, GA exterior remodeling contractor has been in business, view portfolios, read reviews and get contact information.